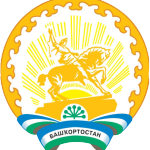 For many years LLC Importservis is a bearings supplier for large enterprises of the republic of Bashkortostan. For the convenience of our partners, our company opened its representative office in the Republic of Bashkortostan in Ufa. The main customers of Ufa branch. Branch office has its own trucks for bearings delivery for the enterprises of the republic and the stocks for the temporal storage of supplied products.